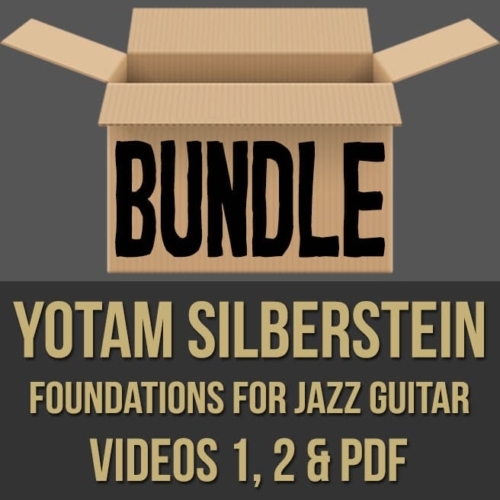 Description: This discounted bundle includes videos 1, 2 & the PDF from Yotam Silberstein's "Foundations for Jazz Guitar" masterclass. 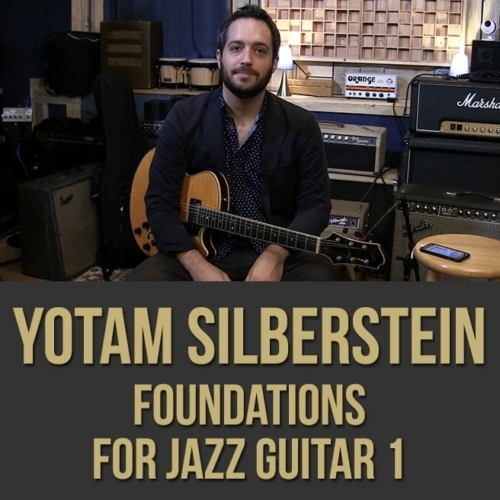 Video 1: In part one (1 of 2) of this "Foundations for Jazz Guitar" masterclass, acclaimed guitarist Yotam Silberstein shows you what he has been practicing for many years in order to become a better jazz musician. Yotam discusses and demonstrates various concepts and exercises aimed at helping strengthen your foundation, so that you can build your unique voice on top of a sturdy base. 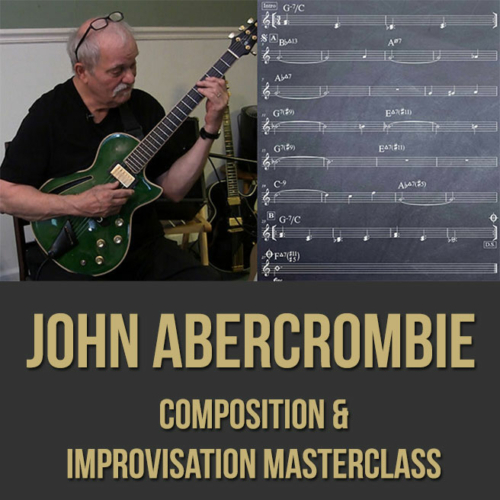 If you are looking to obtain a strong jazz core, so you can express yourself creatively on the instrument without limitation, this jazz guitar masterclass is for you. 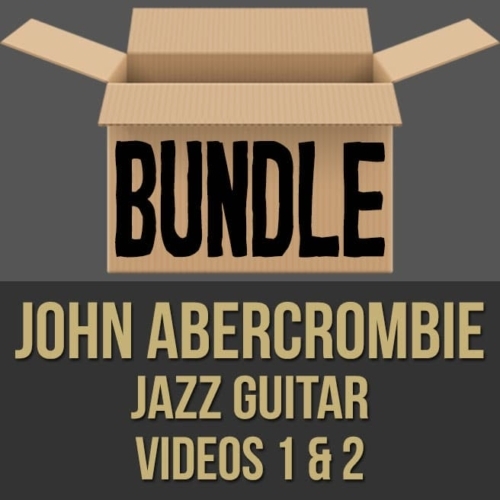 Topics Covered: Jazz Guitar, "Golden Rules", Importance of the Metronome, Practicing, Short and Long Term Goals, Tone, Listening, The Fundamentals, Borrowing from Others, Space, Warming Up, Playing "Balanced" Scales, Subdivisions, Horizontal Practice, Intervals, Making Music While Practicing, Knowing the Neck, Connecting Scales Through Tunes, Arpeggios, Triads, Etc. 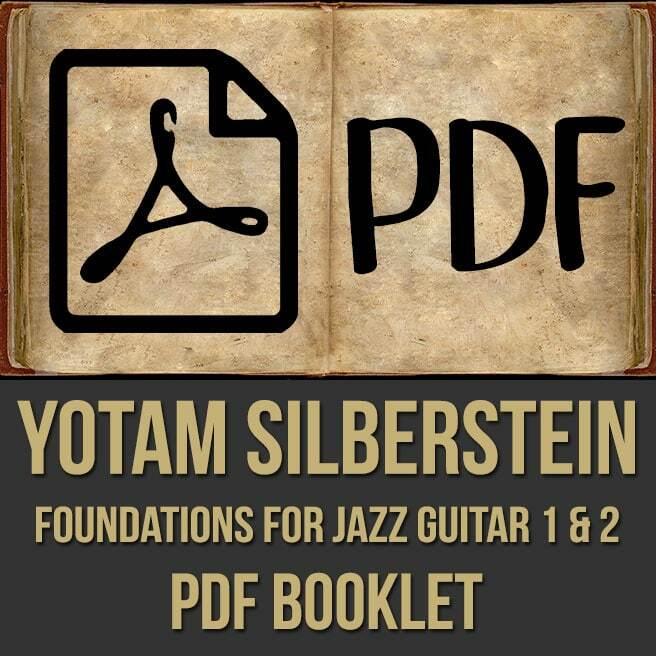 Video 2: In part two (2 of 2) of this "Foundations for Jazz Guitar" masterclass, acclaimed guitarist Yotam Silberstein shows you what he has been practicing for many years in order to become a better jazz musician. Yotam discusses and demonstrates various concepts and exercises aimed at helping strengthen your foundation, so that you can build your unique voice on top of a sturdy base. 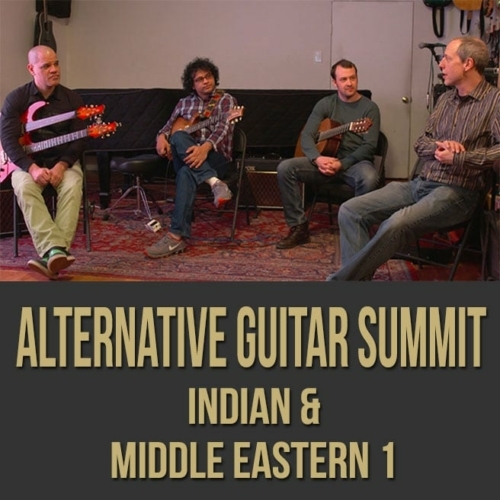 If you are looking to obtain a strong jazz core, so that you can express yourself creatively on the instrument without limitation, this jazz guitar masterclass is for you. 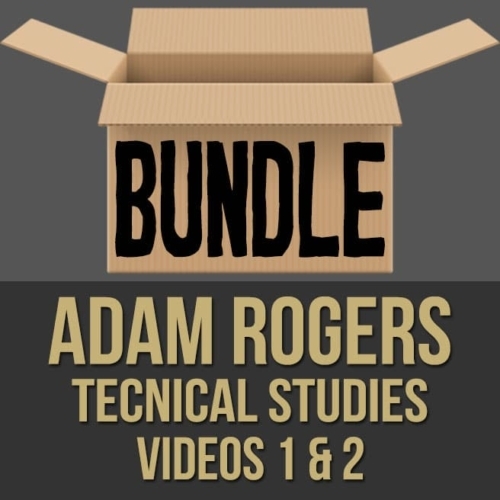 Topics Covered: Jazz Guitar, 7th Chords, Voicings, Inversions, Applying Voicing Concepts Through a Tune, Separating Voices, Lines, Exercises, Transcription, Composition, Listening, Learning Tunes, Brazilian Music, Bach, Etc. 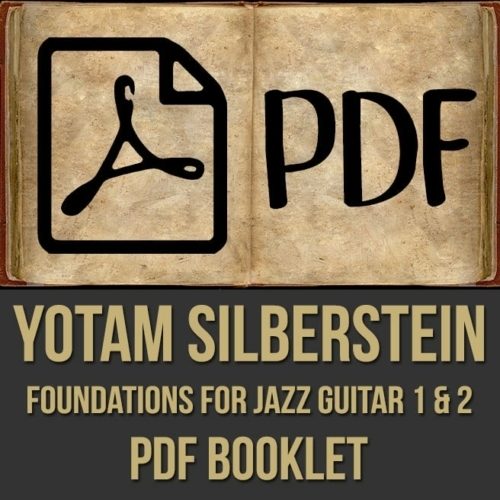 As a young musician in Tel Aviv, Yotam Silberstein was quickly recognized as a prodigy and was invited to perform with many of the nation’s top musicians. At 21, he performed at Italy’s renowned Umbria Jazz Festival, released a critically acclaimed debut album and set out on an extensive tour of Europe. 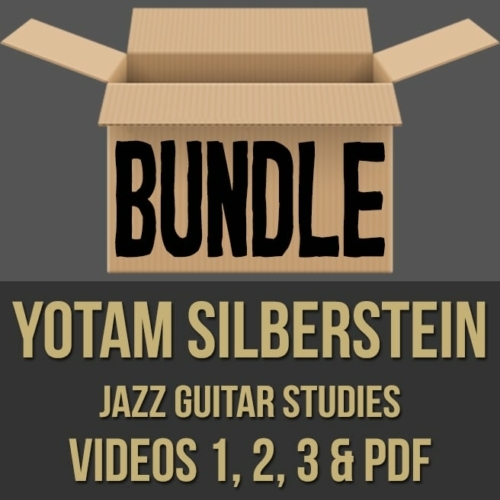 As artistically gifted as he is technically proficient, Silberstein is featured on a wide variety of critically acclaimed releases including “Resonance” and “Brasil” on the Jazz Legacy Productions label, John Patitucci‘s new trio album “Irmaos De Fe” and Monty Alexander’s Grammy-nominated “Harlem-Kingston Express Live!” among countless others. 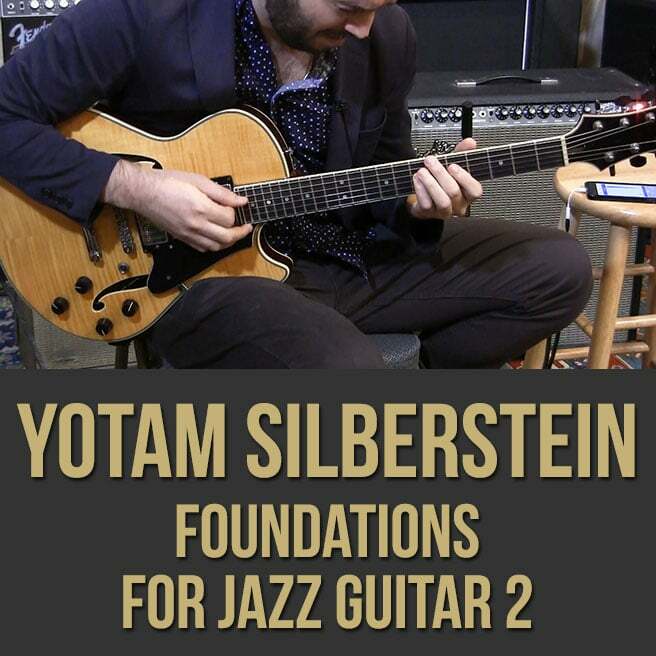 Yotam has earned his place among the jazz elite by collaborating with such luminaries as James Moody, The Heath Brothers, Roy Hargrove, George Coleman, David Sanborn, Marcus Miller, Paquito D’rivera, Christian McBride, John Patitucci, and many others. 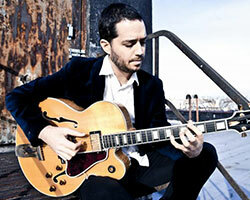 This versatile guitarist’s wheelhouse runs the sonic spectrum, including Brazilian, world music, blues and bebop. Silberstein’s showmanship wowed the Kennedy Center’s 2011 production, “Ella!” which featured Dee Dee Bridgewater, Al Jarreau, Dr. Billy Taylor and Janis Siegel. His performance earned him a return invitation for a special appearance at the KC Jazz Club. In Addition Yotam has applied his talent to composing music for film and in 2015 he received the Sundance Time Warner award for film scoring.